So, the other day I was talking with this senior researcher at MIT. Man, I can’t believe I finally got to say that! It’s been #184 on my unofficial bucket list for, like, ever. Now to cross off #185 . . . does anybody know where I can find a cranberry bog? Back to the subject at hand, though. 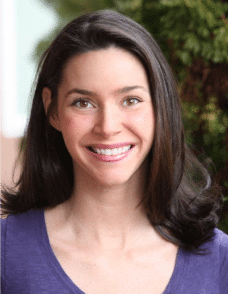 I contacted Dr. Stephanie Seneff after hearing her speak on Nutrition and Metabolism at the Wise Traditions conference last year. Dr. Seneff is a Senior Research Scientist at the MIT Computer Science and Artificial Intelligence Laboratory. She holds a B.S. degree in Biophysics, M.S. and E.E. degrees in Electrical Engineering, and a Ph.D in Electrical Engineering and Computer Science, all from MIT. Anyway, during her presentation Micah and I were in a rather rowdy toddler room with the sound piped in, but I thought I heard her say that Vitamin D3 supplements may not offer the same benefits of Vitamin D created from sun exposure. But she couldn’t have said that, right? 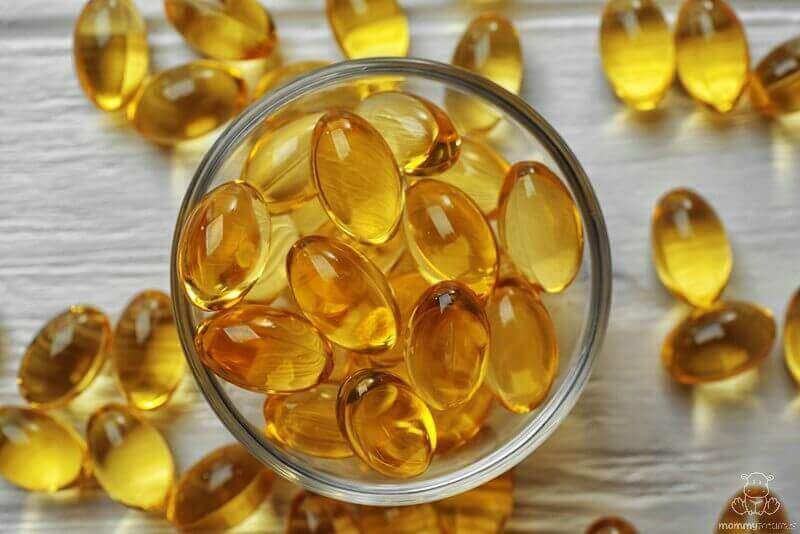 Vitamin D supplements are sunshine in a bottle! This process yields Vitamin D sulfate, which according to Dr. Seneff is vastly different than plant-based Vitamin D2 and animal-based Vitamin D3. But, Surely . . . The body can convert D3 supplements into D3 sulfate, right? Unfortunately, though our bodies are genius chemists that does not appear to be possible. Synthesis of cholesterol into D3 and sulfur into sulfate occur simultaneously, like mixing eggs and flour/salt/water to bake a cake. You can’t put the eggs in the oven, bake at 350F for 45 minutes and then pull out the pan and add the flour, right? Same thing here. So, isn’t consuming cod liver oil a form Vitamin D supplementation? Yes . . . yes it is. The fact is our bodies don’t make much Vitamin D during the winter, and it makes sense to seek out additional vitamin D from whole food sources. But we still need sunshine to synthesize sulfate! According to Dr. Seneff, even in winter our skin can do this by synthesizing another compound, cholesterol sulfate – just add sunlight! So what’s my takeaway from all this? I still focus on feeding my family nutrient-dense foods which contain lots of fat-soluble vitamins, but I don’t rely on them exclusively to meet our Vitamin D needs. Just like exercise and good quality sleep, I consider responsible sun exposure to be beneficial both for Vitamin D production and the regulation of our circadian rhythm. 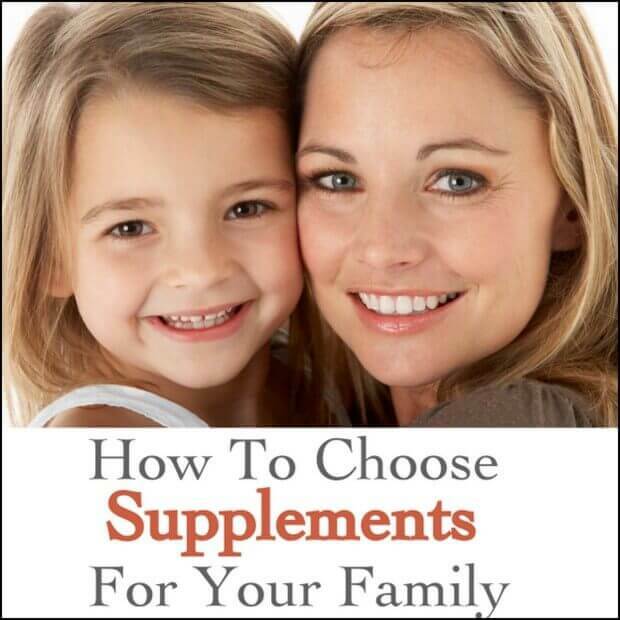 How Do I Choose The Right Supplements For My Family? Antioxidants Vs. Sunscreen: Which Works Better? I don’t like hearing this, since we depend on d3 drops most of year where I live. Sorry, ya’ll! I hope the discussion at the bottom on winter supplementation and sulphate synthesis makes you feel a little better! What about regurarly `sunbathing´ under a solarium, the sulfatesynthesis should also work? I would like to send you photographs from the fifties in The Netherlands, where feeble children played at the “consultation office” under solaria to enhance their health. so what are we supposed to do with no sun for 6 months out of the year?? No sun at all, Sarah Whitsett Finks? Or just rays that don’t produce a lot of vitamin D? we live in Ann Arbor. Most of the winter it is overcast no sun. Seriously maybe an occasional day with sun here and there. Suggestions? except, not if you live too far north. in boston, you can only make vitamin D during about 6 weeks of summer, if and only if you are out between 12 and 3 (but not at 3:30), because the sun needs to be at a certain height to give you the right rays for D production. Well, hello there Miss Katja! I believe I miscommunicated in that previous comment. I meant that it appears we can make cholesterol sulfate in the winter, not vitamin D! Where’s the research on this? If we can’t produce Vit D, how then can we produce it’s cholesterol sulfate when it seems it’s caused by the same reaction on the skin? Also, exposing your skin to rays that are lower than 50 degrees on the horizon actually ups your risk of skin cancer. Doesn’t seem quite right to say our skin could make the cholesterol sulfate at a time when it can’t make Vit D. I feel very confused. That’s a tough question, Sarah Whitsett Finks! I honestly don’t know. Are sun lamps common in your area? When my husband went to college in Denmark a lot of the population used doctor-prescribed sun lamps under similar conditions. I read fast with three littles around me, so forgive me if you answered this…so sunlight is the best form of Vitamin D, but should we still take our VD3 to help with calcium? Or stop spending our money on Vitamin D3? I will order my fermented cod liver today! Thanks! Hi Monica! That’s a great question. Personally, I’m unconvinced that isolated D3 is as effective as D3+Vitamin A for transporting calcium and phosphorous to bones, so I stick to D3 + Vitamin A in the form of cod liver oil. The issue is not the dose,but the 25(OH) serum level. If you at 100 pounds and me at 250 pounds ate 600 IU of D/day, we’d have quite different serum levels. Raw milk contains every known fat and water soluble vitamin. To get them all, make sure you drink whole raw milk or you’ll miss those lost in the skimming process. Store bought milk has 100 IU D3/cup. Arrgggh. Typo. Store milk has 100 IU D2/cup. Thanks for your comment, Jill! As I edited to reflect in my post, I personally would consider D drops a worthwhile “second best” option to dietary Vitamin D3 because it is clearly beneficial for calcium and phosphorous transport. And . . . puddles are fun! Do this conscientiously and avoid the doctor (which also means that you will save money on copays and scripts)!!! The problem is, when the sun is lower than 50 degrees of the horizon, you do not benefit from it. In fact, it is the harmful rays that come through at less than 50 degrees. This is a really interesting post. I found out I had a vit D deficiency (which was shocking, considering what I eat!) and started taking 5000IU capsules, which did raise my levels a bit, but I still had what was considered a deficiency. I switched to drops and it made all the difference. I think the deficiency also had something to do with the infertility I experienced this past year and I am now happily pregnant with our second baby. I can’t say that I agree that taking vitamin D supplements are useless, but using the drops vs. the capsules certainly helped. Thank you for sharing your experience, Peyton! I think it provides some valuable insight worth further consideration. And YAY! Congratulations on your pregnancy! Thanks 🙂 We were pretty surprised and so happy! I too had my levels low. Test when first pregnant had a reading of 3. Told needed supplements. (I was then taking pregnancy multi vitamin ). Took as recommended 5 tablets which boosted me up to 12. I thin took the drops instead I got up to around 30. When out in sunshine as much as i could, but didn’t chance levels at all. Wondering why my levels stay so low. Doctor wants my levels at least 50. I was also walking in the sun five days a week when I was diagnosed, which left me baffled that I had a deficiency! So if your vit D levels are low and then they go super awesome with the use of vit D3 drops & FCLO what does that mean? Does it mean that your now high levels of vit D mean nothing because your body didn’t get the chance to process it itself to get the goodness? Or is it still a good thing to now have higher levels of vit D (from 5 to 65). We’re in a low sun environment too. Personally, I wouldn’t think it does nothing. Vitamin D3 is very good at transporting calcium and phosphorous throughout the body. As I’ll go into in another post, though, eating a cholesterol rich diet and making sure sulfur intake is adequate goes a long way to helping us produce sulfate from the sun even when Vitamin D sulfate is produced. Ahh that’s probably part of it too then. I’m referring to my son whose vit D3 levels went from 5 to 65 over 6 months with not much sun. We gave him 5000IU a day in vit D3 drops, FCLO everyday, stopped using sunscreen or hats AND switched from vegetarian to GAPS. So the higher amount of cholesterol & sulfur he is consuming probably helped too. What about tanning beds? I was told that they want to regulate them so that no one under the age of 18 can use them. I live in Canada and it gets to -35 in the winter! I can’t wait to learn about the sunscreen. I just got a pretty bad burn this weekend working at the farm we get our CSA box from. I know I get plenty of exposure around here, and take FCLO, I just want to be protected too. Somehow, even though my 1 year old and my husband were out just as long as I was, they didn’t get burned at all. Do you only take FCLO in the winter? No, I take it during spring/summer as well for it’s antioxidant benefits. As I’m writing about in a post for later this week some individuals find that it helps them be in the sun longer without burning. I tend to think of it in terms of a sliding scale ranging from the bad to the ideal. There’s no denying the multiple studies done on the positive impact of high dosing Vitamin D on preventing everything from depression to birth defects to ear infections. And you can bet money those vitamin D3 supplements were probably even synthetic. Does that mean we should all run out and take synthetic Vitamin D3? No way! But it does show that there’s some benefit to taking it. Sometimes, we can’t let the good be the enemy of the ideal. And, of course, that means we should know what the ideal *is* — which is what blog posts like this one you wrote are excellent at doing. Yikes. I meant to say we can’t let the ideal be the enemy of the good! If all we can manage is something “good” but not “best,” we shouldn’t stop doing the good thing just because it’s not good enough! Oh wow, I didn’t see the typo up there. Totally read it the way you meant it. Thanks again for sharing your thoughts. They have been very helpful! 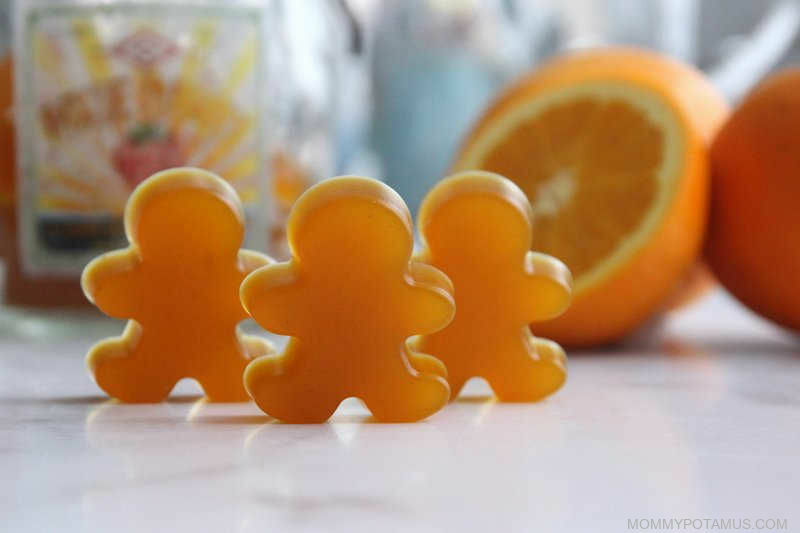 Do you agree that we shouldn’t wash most of our bodies with soap after being out in the sun to maximize the vitamin D? Love your post on sunshine! Xoxo. The fear factor out there is keeping everyone out of the sunshine and slathering on lotions loaded with-not-so-good-for-you things that may be the actual cause of skin cancers! And there is the learning that what you put on your skin you should be able to ingest through your mouth. As in food for your skin is food you would EAT. Your skin is an organ too. A big one. There is so much more to learn about our sun and it’s affects on us on all levels plus also the stuff sold as safe and good (in our foods and lotions, etc) for you that really isn’t. Thank you for your wonderful blog! I’ve learned that fear shuts down the ability to think and learn. I agree, Carie Connell. I am a huge fan of dietary D3 (preferably in whole food form), but her insights into the need for sunlight for sulfate are new to me. So I always feel conflicted about this sunscreen/burn/clo issue. We eat pretty well (ok so we’re not perfect), but do take FCLO/HVBO regularly. But we’re pretty pale here in Virginia after winter and we’re going to Florida this weekend for vacation. Do I just chance that we (myself, husband, toddler) don’t get burned? How do I know! Some people do all of these things and still get burnt! I know the best thing to do is cover up, but then we’re not getting all that good Vit D. We will probably be at the beach most of the day everyday for a week. Thoughts? I’m clearly confused! From what I understand, liver stores of vitamin D do not last very long. Certainly, getting plenty of sun in the summer will not carry you through a dark winter. I am light-skinned and live in California. I trusted sunlight alone for a long time and ended up with the lowest possible vitamin D level my doctor had ever seen. My endogenous production was 6; exogenous was 0. I had a list of symptoms as long as my arm. This was after several years of vegetarianism so there were compounding problems, for sure. But it was still a scary experience that I don’t wish to repeat. I’m an avid sunbather. I try to get sunlight every day, during different times of day. It can rain here for weeks at a time, but most of the time it’s sunny. Still, I don’t trust sunlight alone. I take vitamin D every day and that’s the only way I’ve found to maintain a normal vitamin D level. I think it’s wise to use both sources — as you say, there are benefits for both. That does sound hard, Maria Castro. I’m sending an email to Dr. Seneff with some follow-up questions. One of them is whether sulfates can be stored in the body for long periods of time . . . make we need sunlight to make them but can do that more in spring/summer? I’m not sure. She’s super busy so I’m not expecting a response anytime soon, but I’ll let you know what I find out! I love ND but that is one of the things that is hard for me over here; however the rough winters do keep bugs away and crime low lol too cold to go steal anything 😉 Summer time we stay outside as much as possible, love the summers here sun is out until 9-10pm sometimes! maybe not “make” – lots of typos today! we are like you in Ann Arbor, and I have to take them. I can feel my energy drop if I’m not taking them. We are so sun starved. And sometimes the temps are too frigid, even if you could get a few cloudy rays. You’d be frost bit, and the only part of our body that sees the sun for about 6 mos of the year is our nose. After going Paleo last fall and switching to pastured meats I noticed a drastic change in my skin chemistry. Although I live in New England, I’m English and used to burn very quickly. After the diet change, I couldn’t even tan never mind burn. I’ve added back some carbs to my diet so I’m mostly following a Primal diet at this point but still eating pastured meats. I’ve sat out in the sun whenever possible since the equinox for at least 30 minutes and sometimes for hours. I’m only now starting to notice a tan. I haven’t burned once this year. I did not know about vitamin D sulfate! Great news that it’s in raw milk! For people who are fair-skinned: you don’t need as much sunlight to synthesize vitamin D, so I would just not expose your skin as much if you are concerned about burning. Ideally you would be fair-skinned in the higher latitudes and darker-skinned in the lower latitudes. If not, you’ll have to be more conscientious about your sun exposure. It seems to me that traditional people in northern climates were more often dairy cultures and also consumed seafood and fish liver oil. They would also still go out in the sun in winter but surely not as much as in the warmer months. They were also usually fairer-skinned people. Being a fair-skinned person in the Pacific Northwest, I tend to look at these cultures as an example for how to obtain enough vitamin D. I believe it’s still important to be aware of one’s personal needs though, especially considering that illnesses and toxins deplete the body of nutrients. I noticed a huge difference in my mood and energy levels after spending time out in the sun this spring, so there is definitely something to this line of thought. The most natural form is always the way to go – when you can -. We take our FCLO & vitamin D3 supplement but don’t notice nearly the same boost, and it felt like the adrenal fatigue that came over me in late fall disintegrated as the sun shone brighter. I used to tackle every nutrition aspect that I came across and beat it to death to squeeze out every last fact I could before I felt confident to move on it. I have now learned to trust my intuition and instinct to know what’s right for us. I think you may be on to something mama. 🙂 And I agree that supplementing cannot be as useless as Dr. Seneff hypothesizes. It just depends on the source and the individual’s diet as a whole. While we agree, sun exposure is the best source to get your vitamin D, this idea that vitamin D sulfate is more important than just plain old vitamin D has little scientific backing. In fact, researchers in the 1980s looked for vitamin D sulfate in human breast milk and didn’t find any (Hollis et al 1981). Some of the biggest researchers in the field looked into the issue of vitamin D vs vitamin D sulfate in the 80s and dropped the topic moving forward, probably for good reason. Again, moderate, sensible but frequent sun exposure is ideal for many reasons (including vitamin D production), but to date, there is no evidence to suggest that vitamin D from a pill is any different than vitamin D from sun exposure. There have been studies, however, that have found beneficial effects of sun exposure independent of vitamin D. One such study found that sun exposure was independently protective against multiple sclerosis; though we know vitamin D is protective against MS, too. Announcing that, “…vitamin D supplements are useless” is misleading and a disservice to the public. How do we know? By the countless randomized controlled trials that have found benefits in supplementing with vitamin D. Just this past winter, researchers discovered that 3,000 IU of vitamin D/day during the wintertime reduced blood pressure in hypertensive patients. Are vitamin D supplements useless to a hypertensive patient? No. Another study came out that found 4,000 IU of vitamin D/day for a year reduced mortality five-fold in patients with cystic fibrosis. Are vitamin D supplements useless to cystic fibrosis patients? No. In fact, they might even be life saving. While we are sure Stephanie Seneff has the best of intentions, it’s important to be careful in what is publicly recommended. Since there hasn’t been a peer-reviewed paper published on vitamin D sulfate since 1995, it’s probably not necessary to stir the pot on this subject. Excellent reply from Dr Cannell of The Vitamin D Council. 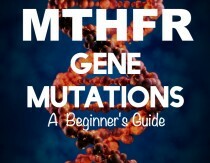 He has a wonderful site with some of the best and latest information on Vitamin D– with home Vit D testing available. It is critical to test and not just assume your levels are adequate– even though you are on a sufficient diet and have sun exposure. There are many things that can interfere with metabolizing D– gut issues, fat malabsorption, thyroid, liver issues– conditions you may not realize you have. This is interesting information. However, I live on the CA/OR border where getting enough sunshine in the winter is a problem. I found out a few years ago that I was severely deficient in Vitamin D, so began using supplements. These supplements cured my depression as well as my chronic illnesses. Once my D levels were back to normal, I stopped being constantly sick with colds, flu, etc., and if I do get a cold a couple of times a year it is not nearly as severe or long lasting as then. So I would not discount the efficacy of Vitamin D. I’m all for getting nutrition through foods but in my case, that was not working. I have a question, I read stephs information and I am curious is cholesterol sulfate and vitad3 the same substance? I don’t think I produce it with sun exposure, as I did the sunbathing as much as possible, developed a nice tan without using anything else and did not improve even following a lower carb diet with carbs that are whole and minimally processed I was careful not to wash off my oils for a day ot two before taking a bath, can you make cholesterol sulfate in your skin but not vitad3? vitad3 supplements have been helping but the problem is I have to mega dose on it. I keep an eye on my symptoms to make sure I don’t take too much vitad3, I take it on a empty stomach to avoid taking up to much calcium it has improved my symptoms of metabolic syndrome and hypoglycemic symptoms despite not being type 2. everytime I lower the dose for maintance to avoid taking to much my symptoms return after about 2 months. any suggestions or thought on this? So, I read in the Permaculture Activist that you can get highly significant Vitamin D by sun-bathing the mushrooms you plan to eat. Would this be considered plant-based Vit. D 2 (well, is fungi really a plant?) or is this sun-based, and the vitamin D3 sulfate we want? Wouldn’t that be a win-win? Question: I have been taking fermented cod liver oil for years now but I test very low vit D levels? I started to take the butter oil with it several months ago, and still the same results! My son also has low vit D levels, and he has been on fermented cod liver oil for years as well. Any ideas? I used to live in Alaska. The sun there never goes above the 50 degree horizon, it is therefore impossible to photosynthesize vitamin D. The native people there survived for thousands of years by consuming a diet of primarily walrus and whale. Their bodies have adapted in unique ways. They are the only people in the world who cannot overdose from dietary vitamin D. Too many supplements can be very dangerous! It is impossible to overdose on D from sunlight, the body will not complete the process, but will store it in a convertible form for later use. The human body can store about 2 years worth, provided there is enough sun exposure. The next best source is fatty fish. If you don’t have easy access to whale blubber, you should eat sardines. Stop wrinkling your nose! They’re good for you, and 2 cans have almost the entire daily requirement. I work in a doctor’s office with an in-house lab. The doctor runs blood tests on every patient who comes into her clinic to evaluate vitamin D levels. For those whose levels are low, she places them on medical-grade supplements and schedules a follow-up lab test, the time-frame ranging from 1-6 months depending upon the patient and the urgency of whatever else they have going on. I can state with absolute certainty that the supplements she prescribes to her patients are just as good as sunshine in terms of their impact on vitamin D levels. I’m not going to mention the brand, as I don’t want to come off as trying to promote something, but suffice it to say there are supplements out there that are high-quality and will suffice when sun isn’t an option. You just won’t find them at your grocery store, drug store or GNC. Where do I find vitamin D sulfate? It’s not on Amazon. Vitamin D sulfate isn’t sold as a supplement, unfortunately. It’s something your body makes when your skin is exposed to sunlight. Ok, so the next question would be, is it possible to develop a vitamin D sulfate supplement? Prev Post Can Sunlight Prevent Cancer? Next Post Antioxidants Vs. Sunscreen: Which Works Better?